Your preferences let you control which emails you receive, review or modify your research consent status, and select which reports to view. Some of these options are ones you selected during the kit registration process. 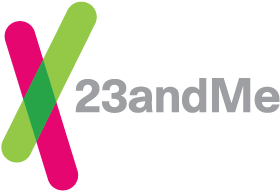 As part of kit registration, you selected a consent option for 23andMe research. This section shows your current consent option and also allows you to link to the Consent Document. Click on "Change consent" to review and modify your consent choice(s). If you declined the option to biobank your sample during registration, you have the ability to enable sample storage for any future samples you provide. If your current sample is not biobanked, you can click the "Save" button. You may change your preference at any time. When your data first becomes available, you will have the option to either view your health results or decline to view them. Declining will hide the health reports from the Reports section. You can change this option at any time by clicking "Change report selections" under Health Results Configuration.